I love cooking & baking☻. Everything’s about food will sure attracts me. 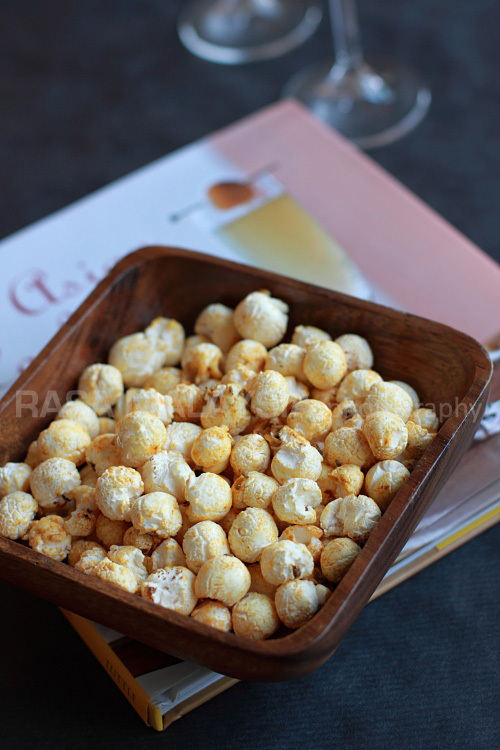 The main purpose I start this foodie BLOG is to jotted down my journey in exploring and experimenting new recipes. Besides sharing my cooking and recipes with my family and friends here. One of the main reason I started baking is for my 3 kids. They loved bread & cakes, especially cheesecake so much. Pizza & tarts too. 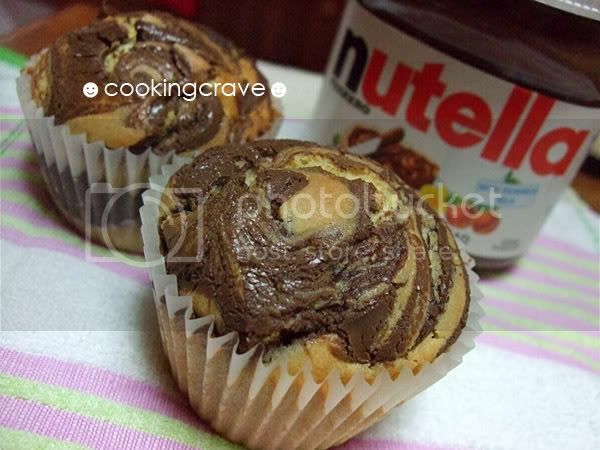 I tried this Nutella Cup Cakes with the recipe I got from a great foodie blogger She Bakes & She Cook ☻ The cakes turn out great & taste heavenly. My daughters loved it ! Cream together butter and sugar until light, about 2 minutes. Add in eggs one at a time, until fully incorporated - Don’t worry if the batter doesn’t look smooth. Add vanilla, mix well. They should be 3/4 full, if you’re not using a scoop. Notes : I bake it at 170c as my oven are tend to get hot easily. I reduce the amount of sugar used, it's a bit sweet for my taste buds. i'm the first to comment! yippeee! just want to congrats you on your food blog first thing! and also the cup cakes look really good. i'm going to try them too. thanks for sharing! Thank you...I will bake and share with all of you at the same time. You like yout blog very much.. Happy I found your blog.. Need to learn from you, too. 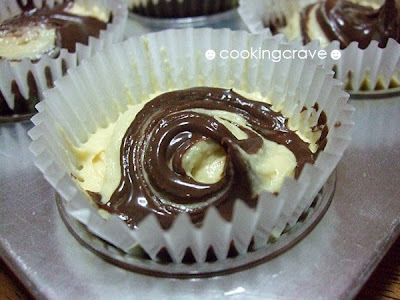 I gonna try thiss nuttella frosted cup cake. Just notice there is a blog with so many good recipe! I like your blog very much! Will try some of your recipe soon. Cheers! Sorry to say this recipe produces very bland, slightly dry cupcakes. I made this cupcake using the same recipe.